5G has come close to standardization with many news from Verizon and T-Mobile regarding deployments and acquisitions specially with NOKIA. In the 4G LTE System, we would have an ENodeB, MME, S-GW, PDN-GW, as common elements of the network, hence the X2 and S1 interfaces were used for handover. In this design, X2 handover facilitates handoff between eNodeBs and relies on the MME for S1-AP handoff only. 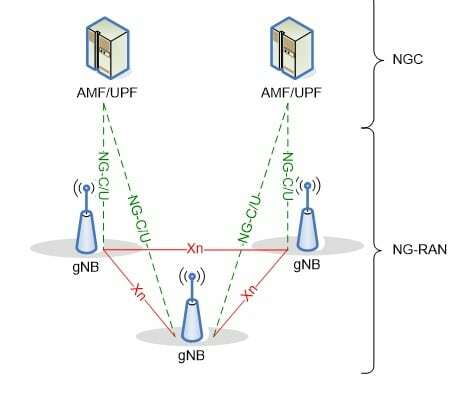 Ad as shown in the figure, the gNB has other entities and interfaces such as ch Xn interface, NG-C/U, and in the infrastructure called (NGC) no longer (EPC) we observe the AMF/UPF duality that resembles the MME/S-GW on LTE. In comparison, UEs are the same, different radios, on one end LTE, and into the future a 5G radio. eNodeB – or the Base Station, contains the RF and all IP-level connectivity to the MME/S-GW/PDN-GW to create and maintain connectivity between the RF and EPC-Bearer or Tunnels to the outside world. 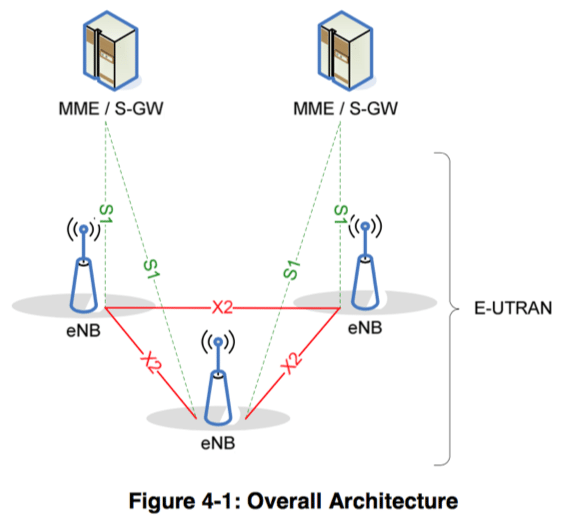 PDN-GW: Functions as the anchor or the home of the network, is the main NAT/Routing GW to the internet and keeps track of all tunnels for each UE on the network, and knows how to forward packets to the UEs. MME: The Mobility Management Entity, handles mobility in general, required for the S1-AP handover, and handles many mobility functions coordinating with the PDN-GW/S-GWs. 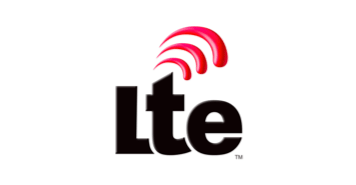 There are multiple specifications related to handover on LTE and defined by ETSI/3GPP organizations. The NG-RAN sends the UE Notification message to report the current RRC state for the UE (i.e. RRC Inactive state or RRC Connected state). The current UE location information (i.e. TAI + Cell Identity) is always included when RRC state information is reported. Thru this, the UE can then handoff fast and all the data is available for you. Rel-13 as well. The changes are minimum and this facilitates the understanding of all functions including AMF / UPF in 5G. 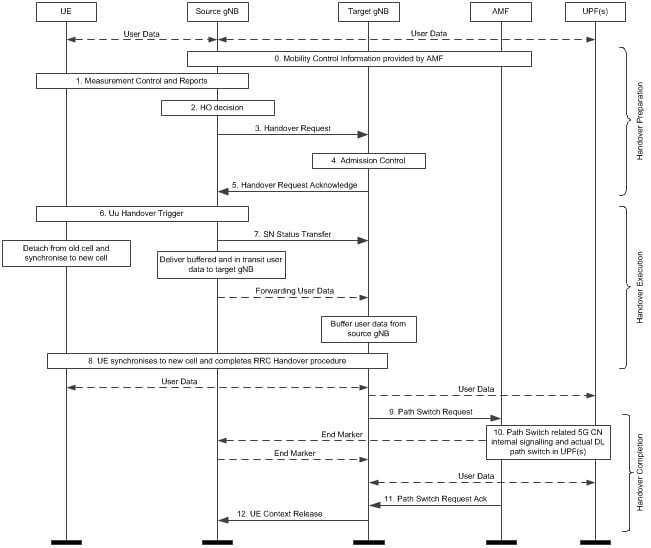 In TS 38.423 V.15, the Xn-AP commands are shown, which is a similar document to the X2-AP specification. If the Location Reporting InformationIE is included in the HANDOVER REQUEST message, then the target NG-RAN node should initiate the requested location reporting functionality as defined in TS 38.413 .